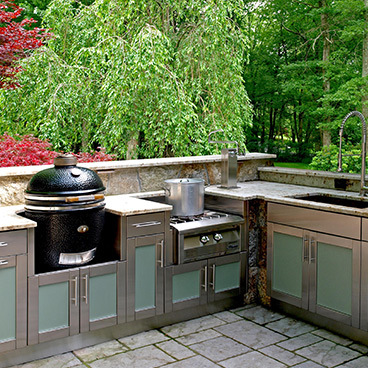 The time has finally come for you to build the outdoor kitchen of your dreams. 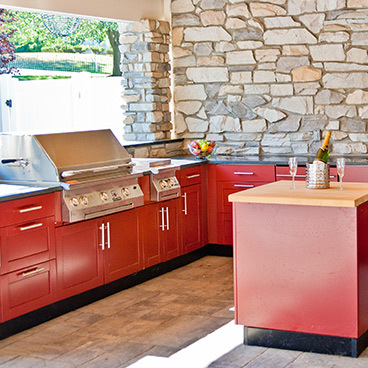 You have the space, the budget, and the right team on your side: Artisan Outdoor Kitchens. Now that you the chance to turn that dream into a reality, you’ve probably realized that you have more options than you could have imagined. Building a custom outdoor kitchen can seem overwhelming, but Artisan Outdoor Kitchens is here to help you take it step-by-step. In our previous blog post, we discussed what key appliances and features your outdoor kitchen needs, such as a grill and a refrigerator. 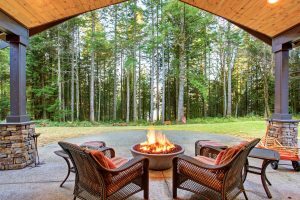 We’ll continue the conversation in today’s blog with a few more features you should consider while designing your new outdoor living space. Keep reading to learn more and call Artisan Outdoor Kitchens today for a personalized consultation! The amount of countertop space you have to play with will depend on the layout you choose for your outdoor kitchen and the appliances you choose to install. As you think about what kind of grill you want, for example, or whether or not you want to include a sink in your design, thinking about how much space you’ll have to prepare ingredients and serve the final dishes. How much elbow room do you want? If you make counter space a priority, you can ensure that you have plenty of prep room when you cook for all your family and friends. You can also save it for serving and enjoying food and drinks by incorporating seating into your outdoor kitchen design. Remember to consider what kind of space you’re working with. If you are trying to incorporate a new outdoor kitchen onto an existing porch or patio, you may have limited space to work with. You may also choose a different kind of layout for your kitchen if counter space is important to you, opting for a U-shape rather than an island, for example. Your Artisan Outdoor Kitchens consultant can help you find a design that works for you! Generally speaking, the more counter space you have, the more storage space you can count on. Installing cabinets under your counters is a great option for when you want to store grilling tools, dishes, and other implements right where you need them. Custom cabinetry is an especially good choice if you want to make sure you have a place for everything, from cleaning products to a trash can. Just remember that installing appliances and features like a fridge or a sink will take up valuable space, including space for safely running electric lines and plumbing to the appliances that need them. In the excitement of designing your custom outdoor kitchen, don’t forget that you need a place for friends and family to enjoy the food you cooked here in the beautiful outdoors! If you already have an existing patio or deck that has already been furnished, you can utilize that space. Otherwise, you may want to build seating into your outdoor kitchen — it depends on how you want to use your space. 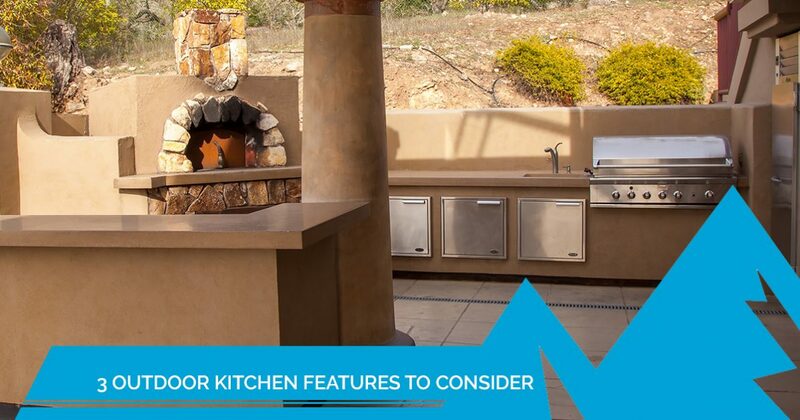 Check out our outdoor kitchen design page to find the questions you need to ask yourself before deciding on the perfect layout! Are you ready to take the first step toward making your dream kitchen a reality? Call Artisan Outdoor Kitchens. We are dedicated to designing and building an outdoor living space that you’ll never want to leave, and in a gorgeous place like Colorado, you know you won’t regret it. Check out our portfolio for inspiration, keep watching this blog for even more outdoor kitchen ideas, and don’t forget to schedule your kitchen consultation today with Artisan Outdoor Kitchens!